Los Angeles DUI laws are very particular about what can and cannot be used as evidence during a DUI case. The following Texas case depicts what can happen if police officers don’t follow appropriate protocol. 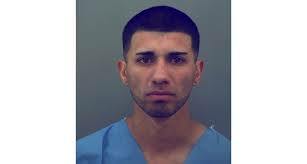 According to news reports, in early January, an allegedly DUI driver, Joel Garcia, slammed into another car after speeding through a red light. The crash killed three people. Garcia’s own injuries were severe enough to warrant pain medication. Police had been afraid that the medications would lead to a false positive for DUI on his blood test, so they withdrew blood without his consent. Garcia’s lawyer later protested that forcible removal of blood violated his rights. Texas, alongside many other states, allows police officers to engage in certain probing investigative activities without needing warrants following grievous injury or death. Due to Garcia’s alleged actions, three people were dead. The police believed that the seriousness of the situation allowed them to exercise their right to remove his blood for testing. The U.S. Supreme Court has previously ruled that pressing or exigent circumstances do not provide officers with a reason to forego consent, except under some circumstances. In every case, this “exigency” must be carefully reviewed and validated by the court. The DUI was not Garcia’s first offense. Police arrested him for another DUI earlier in the year. On the night of the fatal crash, he allegedly had several beers and three shots of spirits before getting in his car. 1. Every state law is different. Had Garcia been driving in a different state, he might have had grounds to sue the police department for obtaining his blood without his consent. 2. The attention of an experienced Los Angeles DUI lawyer can be critical.